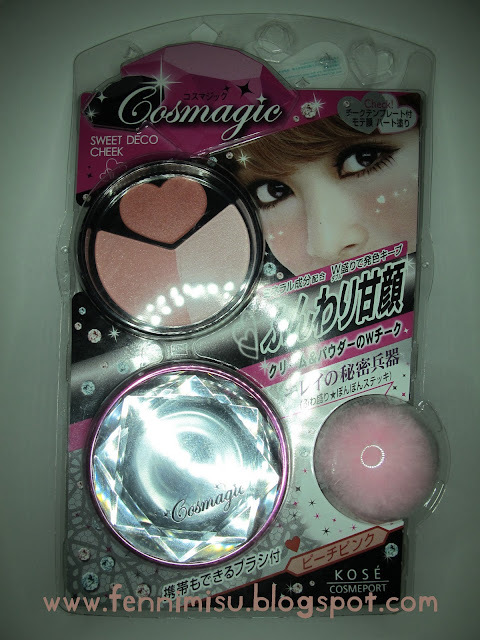 On my last trip to Hong Kong (which was too awesome), I picked up some cosmetics and I'm gonna review Cosmagic's Sweet Deco Cheek in 02 Peach Pink first! 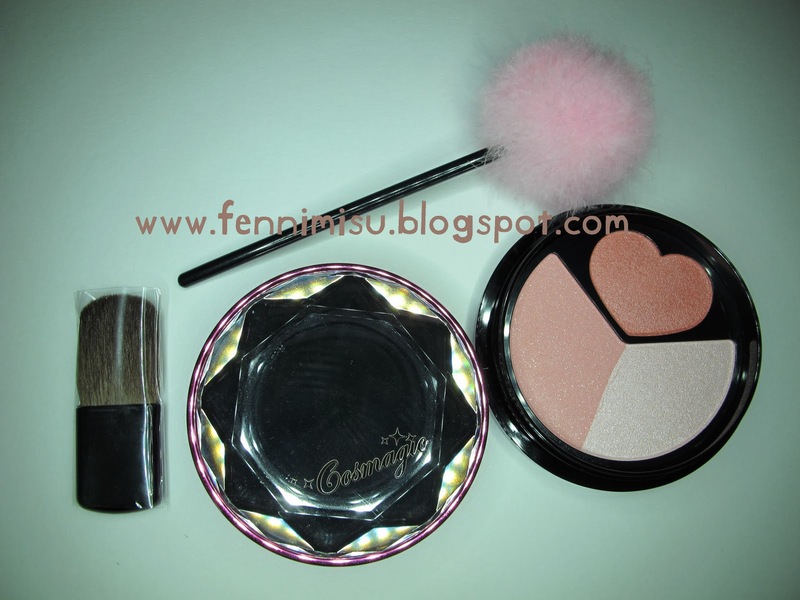 (L-R) One highlight colour, one powder blusher and one cream blusher! There were 2 shades, the other one was in a lighter pink so I thought it's safe to get this. Personally, I think the highlight was the most useful colour in this product. Okay, I love highlighters but the pinks were probably tooooooo pinky for me! Infact, they weren't that lasting. The cream blusher (obviously) is the most lasting one. The rest would ~disappear~ within 3 hours? Yes, it did. Awesomely blingtastic packaging! 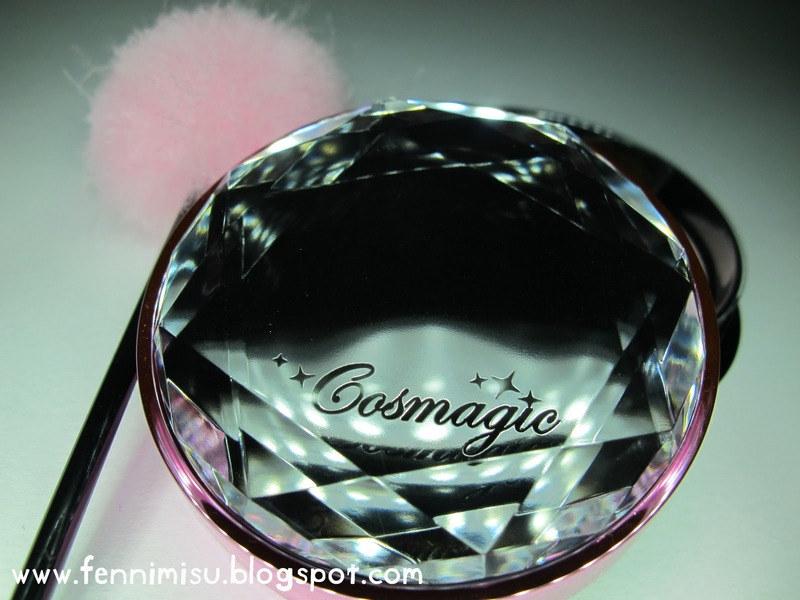 It has a reflective surface all around! The diamond-cut edges is too pretty!!! The deduction of 1 mark is because it's kinda bulky and the surface may get scratched easily! The scratches would be obvious. It's HKD$75 @ SaSa in Hong Kong. Around SGD$12.50! For 3 colours!! !